Bio : Marie Sheehy Walker is an artist from Long Island, N.Y., presently living in Huntington. After receiving her B.F.A. from Rosemont College, Pennsylvania, she studied at the Art Students’ League in New York City under Robert Brachman, Robert Beverly Hale and Gustav Rehberger. 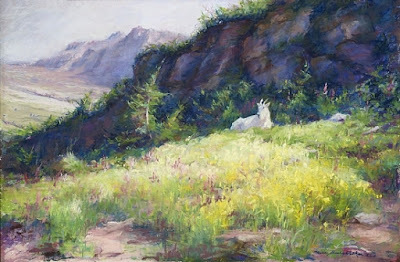 Marie Sheehy Walker has been listed in Who`s Who in American Art since 1984 and is a signature member of the Pastel Society of America, and a member of the Catharine Lorillard Wolfe Art Club. She has shown in many solo and group exhibitions and has won numerous awards. Her work is represented in the Main Street Gallery in Huntington, as well as in many private collections. Marie teaches adults and children in her Huntington studio. Medium: Pastel, watercolor and oil. Gallery: Portraits; Landscapes; Still Life.